Welcome to the Mechanisms of Despair. In this chilling collection of horror shorts, you will find tales of the macabre, stories of suicidal tendencies, and moments of acute psychological torment. This collection will raise money for two very good causes- the publisher is donating its proceeds to The Alzheimer’s Foundation in the USA, and Gary Buller will be donating his to Sarcoma UK- A charity that helps people suffering with bone and soft tissue cancer- people like his mum. Horror movies draw audiences because people love to be scared. People read thriller novels for the same exact reason. When you sit down to read the haunting short stories in Mechanisms of Despair, you definitely will be creeped the eff out by more than one story. For me, I am so glad I read the hair-raising tales in the light of day. Ok, I might spook easier than most people but a couple weirded me out big time. 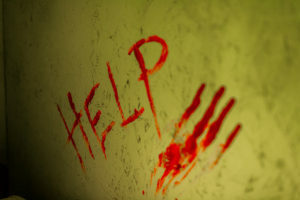 Take for example “The Way Out” and “The Way In”… Those two spine-chilling stories have me rethinking staying at any hotel this summer that I haven’t researched thoroughly first. Seriously, if there’s one hint of anything remotely supernatural happening there (past or present), any deaths, murders, suicides, then it’s on the NO WAY IN HELL I’M STAYING THERE list. Shoot, I don’t want to spend a minute in a HOTEL FROM HELL. Would you? Ok, maybe some supernatural thrill seekers would but I am not that adventurous. My other favorite short tale was “Into the Fire” because it pointed out monsters can be made of flesh and bone. Those are the scariest ones of all. With 7 creepy tales by Gary and one bonus shorty by Holly, I will say folks will find multiple stories that’ll leave a lasting impression on them. For me, I found enjoyment with half and that ain’t too shabby in my mind. Word of warning, as of April 24th, Amazon listed this as a children’s book but I don’t agree with that sentiment. When I think children’s book, I envision anything deemed appropriate for the under ten crowd and these stories are definitely not suited for my youngster. Teenager, yes. Younger child, no. With that said, mature audiences….. ENJOY! 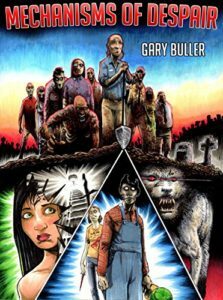 Gary Buller is an author from Manchester England where he lives with his long suffering partner Lisa, and his daughter Holly. 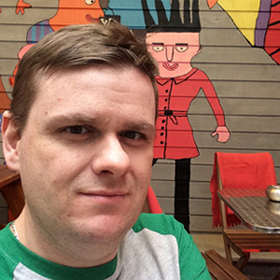 He is a huge fan of all things macabre having grown up reading King and Koontz and loves a tale with a twist. I’m too chicken for horror! !